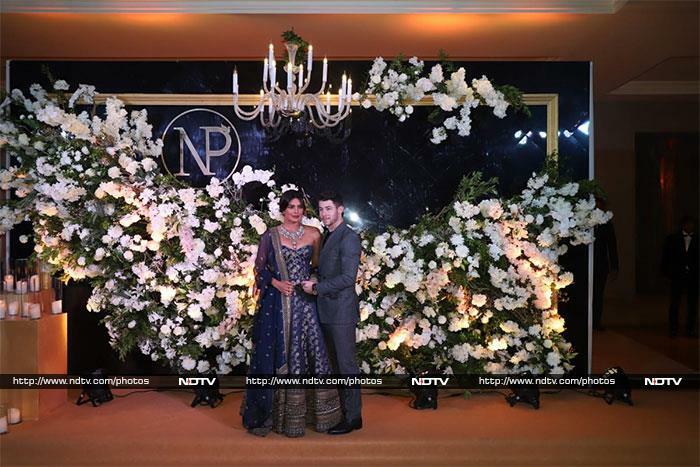 Priyanka Chopra and Nick Jonas hosted their first Mumbai reception on Wednesday night. 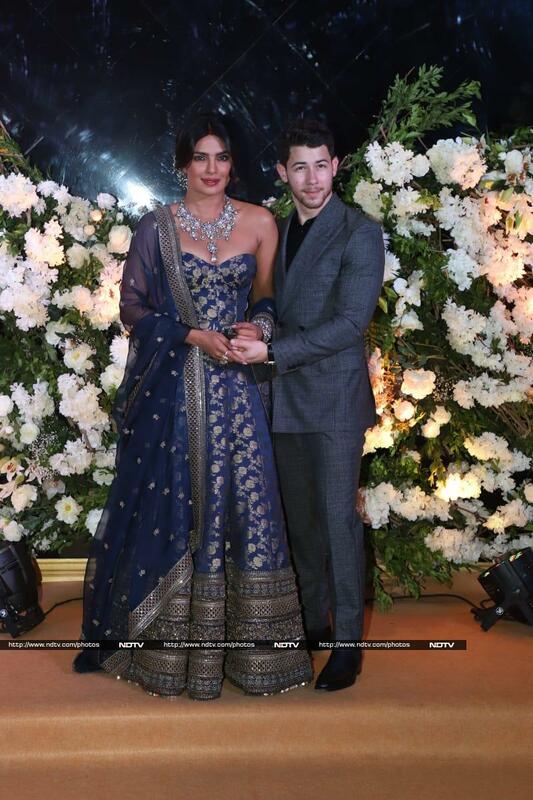 Wednesday's reception party was hosted for Priyanka's family and friends while she will also throw another party on Thursday for her Bollywood friends. The couple looked stunning in hand-picked outfits - she in a blue lehenga by Sabyasachi and he, in a suit. Priyanka blended traditional and the contemporary as she paired a corset choli to go with her lehenga. Priyanka accentuated her look with just the right touch of glitter with her jewellery pieces. 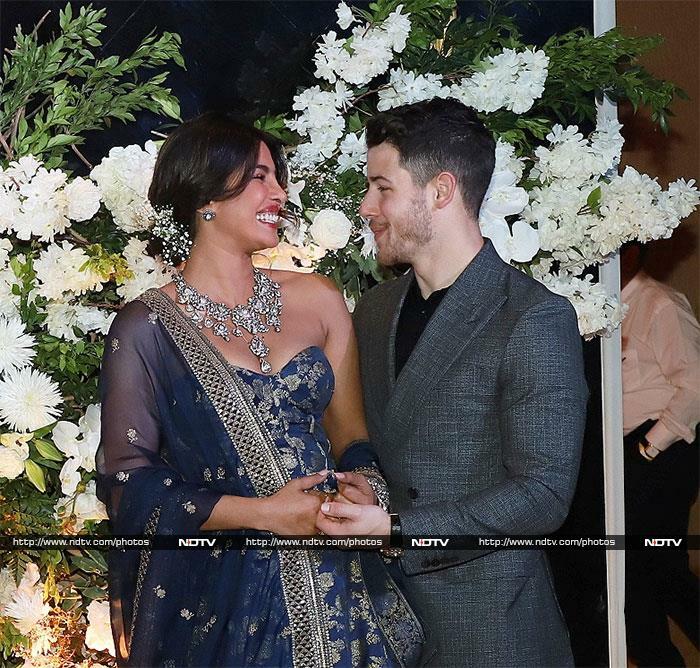 Priyanka and Nick, who got married earlier this month, just couldn't stop giggling. Priyanka Chopra's mother Madhu Chopra accompanied the couple to the venue. Designer Neeta Lulla was also part of the festivities. Priyanka, who thanked guests for being part of her big day, also shared a light moment with her husband on stage.